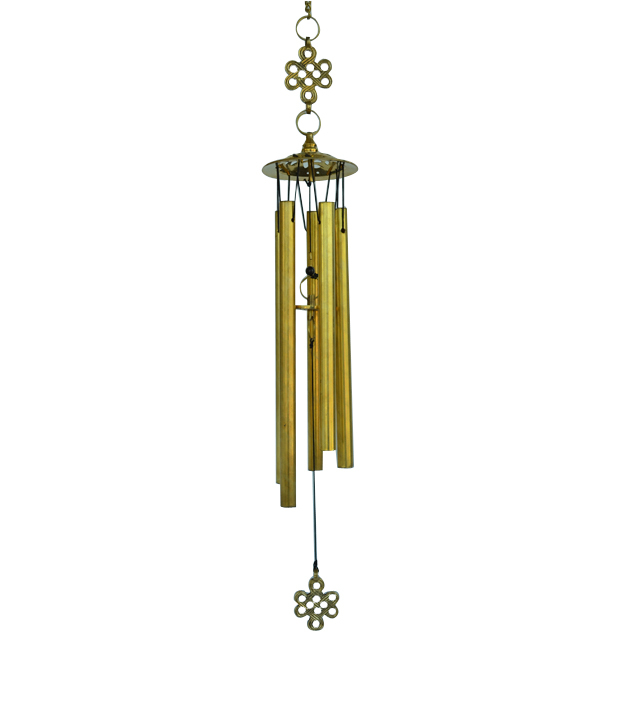 Subdue the Five Yellow in the Southeast corner of every room with this Five Yellow Metal Wind chime. The Five Yellow brings misfortune in the form of financial loss, disputes, loss of careers, accidents and mishaps. Those whose bedrooms and entrances are facing South, West and South West should also hang this wind chime. This particular design have mystic knot the symbol of endless source of energy and undying love, shield to protect you from physical harm and negative influences coin for savings of future. Wind chimes are excellent metal cures for feng shui afflictions. This Five-rod metal wind chime is particularly potent because it is made completely from metal, is of a weight heavy enough to effect the cure, and further to this, the number Five symbolizes Negativity controlling Devices. This year (2015) the Five Yellow resides in the West of your home. It is thus important to control the annual 5 yellows with this. Note: Do not hang windhcimes above your bed. Windhcimes can be hung at waist level and above. Product colour may slightly vary due to photographic lighting sources or your Screen settings.